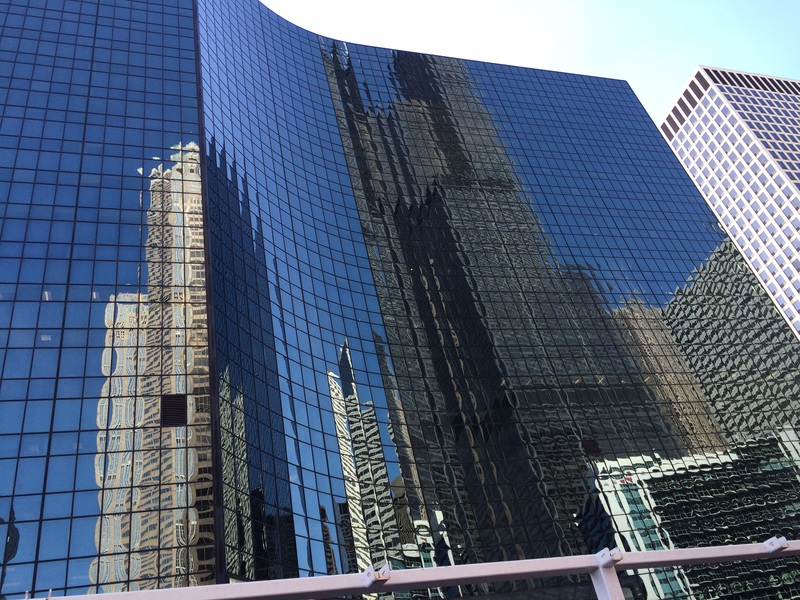 We took a boat trip yesterday, the Chicago Architectrual Tour. I expected it to be interesting, and was not disappointed. I am at a loss for words to describe the genius, ingenuity and “imagine-it-so-make-it-so” engineering ability of our fellow humans. At the same time, surrounded by such genius, I wonder why the same people are so easily fooled by false flag events and political lies, large and small. Things we know to be physically impossible are believed with credulous blank stares. Lame explanations by authority figures are not just swallowed whole, but with great enthusiasm. Part of it is faith. We are raised from the cradle to believe in our government and institutions. The notion that they would so boldly lie to us is impossible to accept. Doubt requires setting aside a life of fables. The implications of doing that are too severe to contemplate. Emphasis added, or course. and keep in mind that back then most people were self-employed. Employment by others, having a “boss” in our lives, is now seen as normal but is an even more debilitating experience. We must constantly monitor our thought content to make sure it aligns with those who have power over us. People are too busy to think here in our fake democracy. They are easily fooled by our overlords. But as seen on the architectural boat tour, there is genius among us and on display all about. Celebrating the Feast of Holy Pentcost with a pilgrimage to one of our “shining cities?” Who needs 3-dimensional art when architects’ phallic (unconscious) dreams are much more appealing to TPTB. Skyscrapers compete and dominate. Power dominates and destroys. A perfect match: Authoritarian capitalism and phallic architecture. Architects audition like politicians. Neither succeeds without appoval and financial support from someone or something higher up the food chain. They are nonetheless impressive structures.